Mr. Owens graduated from Bladenboro High School(NC) and won the NCHSAA State Basketball Championship in 1990. He was the N.C. High School Player of The Year, and was also selected on the N.C. McDonalds All-Star Team. Owens went on to attend Wake Forest University where he was ranked in the ACCs top 10 in scoring, rebounding, field goal percentage and free throw percentage in 1994. He was awarded the Murry Greason Award-Wake Forest University. Owens went on to a 14-year International Professional basketball career playing in Spain, Sweden, Argentina, Venezuela, and Uruguay. Trelonnie was a 4-time MVP in Uruguay and selected All South America 1st Team. Currently, coaching high school basketball Trelonnie brings his excitement and enthusiasm for the game along with his playing experience, and marketing skills to assist in the management of the SBA in the Southeast region spanning from North Carolina to Florida. 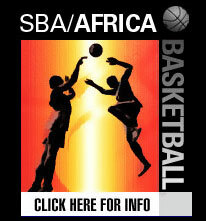 Mr. Owens will be responsible for marketing and organization of the SBA league, SBA Practice with the Pros Camps/Clinics,SBA shows and events, as well as player recruitment, development, and continued support to the SBA corporate office. Mr. Owens will work directly with the SBA team representatives in the Southeast region regarding team rosters, team marketing, and public relations.